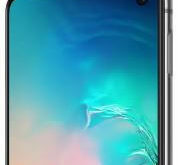 By default set Google Pixel 3 and Pixel 3 XL notification sound. 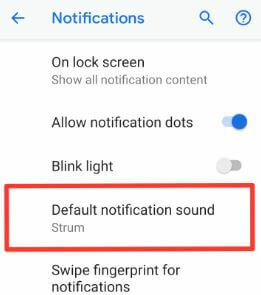 If you don’t want to use default notification sound on Android, you can change default notifications sound on Pixel 3 using sound settings. 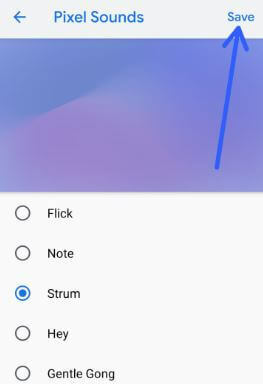 Also enable sounds and vibrations on your Pixel 3 Pie 9.0 such as screen locking sound, charging sound, touch sound, touch vibration or Haptic feedback etc. 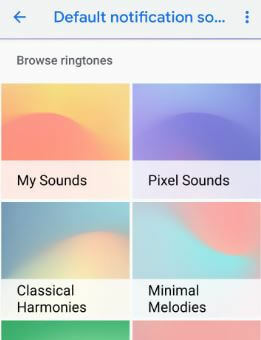 In latest updated Pixel 3 and Pixel 3 XL device, you can browse ringtones from my sounds, Pixel sounds, Classical harmonies, Reality Bytes, Minimal Melodies and Retro Riffs. 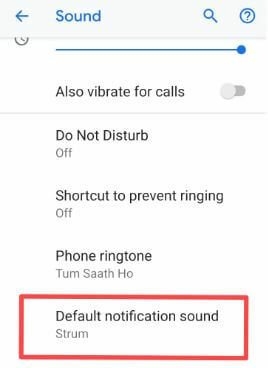 Also change default alarm sound in your Google Pixel 3 XL Pie. Follow below given step by step process to change default notifications sound on Pixel 3 Pie 9.0. There are several ways to change the notification sound on Pixel 3 XL, Pixel 3, Pixel 2, Pixel 2 XL, Google Pixel and other latest android 9 Pie devices. Here you can see different category for ringtones. Now change default notification sound on your android phone or tablet devices. 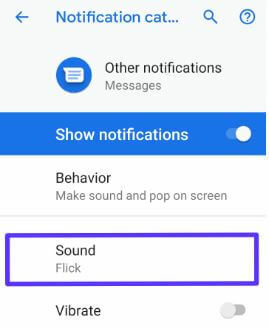 You can change Pixel 3 message notification sound also using below given settings in your latest android 9 Pie and Oreo devices. You can’t change individual app notification sound in your android phone or tablet devices. Do you know any tips to change individual apps notification sound? And that’s all. We hope this makes it clear how to change default notifications sound on Pixel 3 and Pixel 3 XL. If you have any kind of trouble, tell us in below comment box. Don’t forget to share with others if you found it helpful.